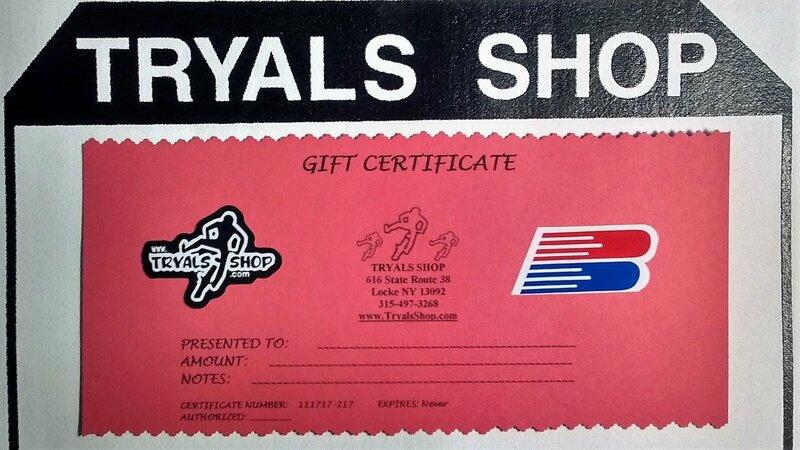 Tryals Shop Gift Certificates may be used for anything... Merchandise, Riding Instruction, or Club Membership. Certificates are mailed free or you may choose to have your Certificate Emailed for printing.